Well, this looks like it's more leaning into a positive go forward, so I thought I start providing the updates that have been coming in. Karl Urban Returns to 'Riddick' Franchise! 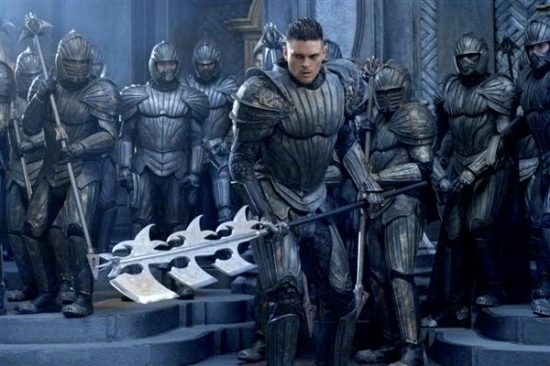 Karl Urban will reprise his role of "Vaako," one of Lord Marshal's (Colm Feore) commanders, in The Chronicles of Riddick: Dead Man Stalking (Riddick), the third film in the franchise created by David Twohy. He's married to Thandies Newton's character, "Dame Vaako". Urban starred in Thowy's 2004 The Chronicles of Riddick. He will join franchise star Vin Diesel, who plays the title character. 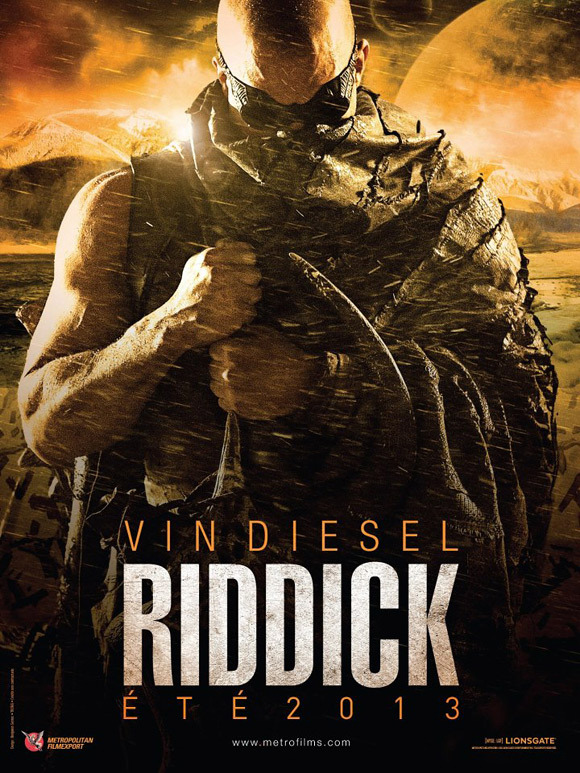 In the R-rated sequel "Betrayed by his own kind and left for dead on a desolate planet, Riddick (Diesel) fights for survival against alien predators and becomes more powerful and dangerous than ever before. Soon bounty hunters from throughout the galaxy descend on Riddick only to find themselves pawns in his greater scheme for revenge. With his enemies right where he wants them, Riddick unleashes a vicious attack of vengeance before returning to his home planet of Furya to save it from destruction." Pitch Black had the best crash sequence in any movie ever and after that pretty good start to that movie. I actually really like Pitch Black and Chronicles and its probably the Riddick character and the new universe its set in. That said, just from the description of the 3rd I am definitely on board for a 3rd run with Riddick. With Riddick back in production some steady news is starting to emerge from the set. David Twohy is currently directing the Vin Diesel starrer which recently resumed production after taking a two-month hiatus to deal with production cost issues. Most recently Vin posted a pic of himself in character on his Facebook page, most likely giving the unit publicist a heart attack. With the Fast And The Furious franchise at a commercial peak, it looks like Diesel is able to get passion projects off the ground. This includes big budget sequels to films that didn't do that great at the box office to begin with. We know that Katee Sackhoff plays Dahl, a Nordic mercenary tracking Riddick. We also know that Jordi Malla plays Santana, a mercenary who heads up an eight-man crew tasked with finding and killing Riddick. Nolan Funk's role remains a mystery. Hit the jump to check out the pic! Vin Diesel Shows Us 'Riddick'! Again! Neat! Vin Diesel has taken to Facebook again for another update on Riddick. Personally, I'm sure you guys would like to see some pics that give us a sense of scope on the project. Not just picture after picture of the character. But I could be wrong. Per the thesp, "First time I posted about Riddick was back in 2009, Facebook was fresh... They were asking me to come to the headquarters to talk about this new concept of communicating with fans. I was proud to lead that wave, yet all I was doing, was opening up about my passion - film. So this picture of our 2012 production of 'Riddick, is a cool victory for all of us... it shows that studios can be influenced by your voice." Katee Sackoff, Jordi Molla and Nolan Funk all star in the second sequel to Pitch Black that's in production under the command of franchise director David Twohy. Wow, this fell off the face of the earth. Not really, but Riddick is slowly materializing again. Almost a whole year in between post. What does that tell you about how slow Hollywood moves? This movie has seen it's share of hurdles. Studio mostly with budget issues. I can wait. Just deliver something good. Universal Slates R-rated ‘Riddick’ For 2013 Release! We can now reveal the official release date for Universal Pictures’ Riddick, which reteams Pitch Black director David Twohy with star Vin Diesel as the title character of the sci-fi trilogy. Mark your calendars for Sept 6, 2013. This is when Riddick and his team begin their latest R-rated adventure in theaters. In it, “Diesel reprises his role as the antihero Riddick, a dangerous, escaped convict wanted by every bounty hunter in the known galaxy. The infamous Riddick has been left for dead on a sun-scorched planet that appears to be lifeless. Soon, however, he finds himself fighting for survival against alien predators more lethal than any human he’s encountered. The only way off is for Riddick to activate an emergency beacon and alert mercenaries who rapidly descend to the planet in search of their bounty. This thread needs a f*cking Dead Man Stalking Trailer!!!!! Speaking of films we were never quite sure would happen, David Twohy recently sat down with Total Film to discuss the long-gestating Riddick. The filmmaker discussed the freedom of an R rating. If you make it PG-13, then you have to make concessions, and that’s what happened on The Chronicles of Riddick where we had to downplay a lot of our action sequences and remove a lot of the blood. We found it was tying our hands, so we vowed not to do that. With the toothless PG-13, Chronicles proved a box office disappointment and it took Twohy and Vin Diesel several years to get Riddick made. But Twohy says they’ve figured out how to work with the lower budget. Had Universal said to us, “let’s roll over, let’s pick it up right at the end of the last movie” and funded it, we would have ventured into the Necromonger underverse and we would have had a big The Lord of the Rings-style movie on our hands. But that didn’t happen, so cleverly Vin and I got the rights back and produced it ourselves on a smaller scale. That said, it still looks like a big movie. I think the audience will see the tip of the hat to Pitch Black, but they won’t feel claustrophobic. I'm digging the getting back to the first film. Considering all the badass talk Vin Diesel has been doing about Riddick, it makes perfect sense it’d be an R-rated flick. But apparently the actor had to fight the studio to make it happen. In an interiew with HitFix, Diesel opens up about the development process and how the studio originally wanted them to try and hit a hard-PG 13 target with the latest sequel. But Diesel felt it would be impossible to make the movie they wanted to make under those guidelines — so he fought. Luckily for all of us, he won, and this flick at least has a chance to be awesome when it opens later this year. With the previous big-budget installment Chronicles of Riddick they toned it down to PG-13 to positively terrible effect, and it looks like everyone has (hopefully) learned a lesson from it. "Oh my God, of course they wouldn't, nobody's doing them. You can't count on your hands a bunch of rated-R movies that are getting a lot of play. They're so far and few between. In fact, we were victims of that in going the studio route with Chronicles of Riddick. Budget went up, and we went into that film we were going in rated-R, and the first thing taken out was rated-R. You want to spend that kind of money, you want to expand the mythology like that, you have to reconfigure the way you're going to produce this movie and make it PG. Some people argue, ‘Hey, there's the 'Dark Knights' that are PG but pushing the R envelope,’ but it does mean something. It means something in your approach to making a movie. There's something appropriate and liberating and honest and free about going into a picture like this and being able to make it a rated-R picture and not have to comply with an understandable studio mandate of PG filmmaking for the blockbusters in Hollywood." Diesel seems to know what he's talking about, and he's taken the Riddick franchise to heart as a true passion project. The footage we've seen has looked intriguing, and we're still holding out hope that passion shines through when this one opens Sept. 6.